NEW YORK, September 17, 2018 – The Korean-based tech startup WELT Corp has announced it will unveil the world’s first smart belt at the Medica 2018 World Forum for Medicine, taking place in Düsseldorf, Germany on Nov. 12-15, 2018. WELT is the first smart belt that allows men to monitor their body, health, waist size, over-eating and physical activity. The leather belt uses Bluetooth to communicate data from the belt buckle to any smartphone. WELT’s mobile app provides men with a comprehensive analysis with insight and warnings to help them meet their fitness goals. With its push alerts and notifications, the belt reminds men to get up when they’re sitting too long, eating too much or even when they need more exercise. More features will soon be added to WELT such as posture detection and gait pattern detection. WELT developers are also customizing the software to detect potential seizures or falls, pending approval. With most wearable devices, you forget to put them on or sync them up. Wearable devices frequently end up in a drawer and forgotten. That won't happen with our smart belt. Men put on a belt every morning. And with each new day, WELT will collect data to give men a more customized and personalized view of their health. As it continually collects new personalized health data over time, WELT provides a more customized plan for fitness goals. This technology is patented by WELT Corp. The CEO and co-founder of WELT Corp, Sean Kang, says their founders will have a booth at Medica to demonstrate their smart belt, answering questions and allowing consumers and buyers to test out the smart belt. Kang says WELT is also in discussions with several famous designers on integrating their brand and design with WELT. WELT’s technology is already getting recognized with awards from healthcare professionals, programmers and consumers. In December 2017, The Korean Medical Academic Association awarded WELT 1st place for its healthcare solution. Two months earlier, WELT won the Good Design Award and took first place a Korean crowdfunding (WADIZ) competition with the Best maker Prize. Born2Global, a major Korean government agency under the Ministry of Science, is also throwing its support behind WELT with funding, business advice and advocacy with the international business market. WELT is already being sold at physical and popular online stores in Korea and Japan, including Amazon Japan and others. 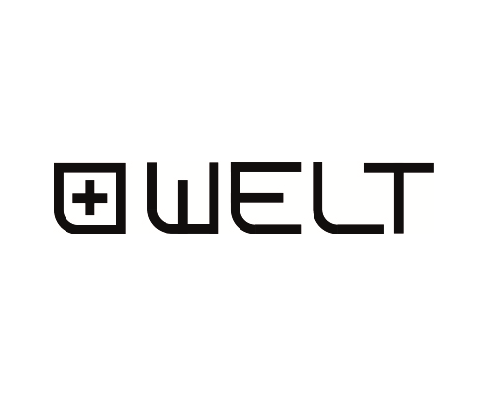 Preorders for WELT are available in the USA with the official retail launch taking place in Las Vegas at the annual International Consumer Electronics Show (CES) Jan. 8-11.